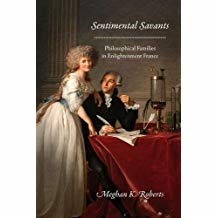 Sentimental Savants by Meghan K. Roberts is about the role of the families of savants in the Enlightenment. In this respect it covers some of the themes of Patricia Fara’s book, Pandora’s Breeches. 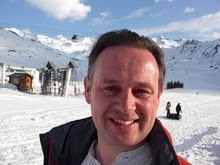 The book focuses on French families, the author makes clear that this isn’t because of any special feature of French families, rather that one has to start somewhere. Each chapter covers a different facet of family life. As usual for writing about this time I will clumsily switch between savant, natural philosopher and possibly even the anachronistic “scientist”. You know who I mean! Prior to the Enlightenment the work of the “philosophe” was associated with monastic traditions of celibacy, or at the very least the absence of a married partner. This tradition maintained, in at least the University of Cambridge, for many years. Cambridge fellows were finally allowed to marry around 1860. During the Enlightenment in France, and elsewhere the personal life of the savant started to become important, being a good family man was seen as a benefit, it gave a savant moral authority. The evidence for these changes can be seen in the changes in style of the eulogies written for savants across the 18th century, publications including plays and learned works and through correspondence. Women started to play a visible role in scientific and intellectual discourse during the Enlightenment. They did not have the full freedom of study that their male counterparts had. They were seen as record keepers, promoters, writers, translators, and housekeepers. It wasn’t unusual for a wife, or daughter, to be trained to the role that the man of the house had decided for her. The family was seen as part of a demonstration of savant as well-rounded person, women started to be seen as intellectuals in their own right. Émilie du Châtelet falls very clearly into this class. In the 18th century inoculation against smallpox became a topic of public debate. Inoculation is a little different from vaccination, the patient is treated with the live virus and gets at least symptoms of the disease (a vaccine uses a dead microbe, or part of it). This makes it more risky than vaccination. In 18th century France philosophes would inoculate their children, and write publically about what they had done. This was to give moral authority to their arguments. A savant inoculating his children would be showing that he had thought about the risks and had gone ahead with the inoculation for the good of his child and of society. The education of children is a theme of a further chapter. Rousseau makes an early entry in the book on the occasion of leaving his five children at the foundling hospital! Other savants took more care of their children. In France prior to 1762 much education was managed by the Jesuits but in 1762 they were banned from teaching. This left a gap which savants tried to fill. Although intellectual parents sought to educate both sons and daughters they approached this in a gendered fashion. Typically boys were prepared for prestigious roles in society, girls were prepared to be good wives. The Lavoisiers make a couple of appearances in the book, first in describing the role of Marie-Anne Lavoisier in Antoine’s work and later in a chapter on Antoine’s work on his farm. Antoine was “father” to his estate, not only was he seeking to improve agricultural techniques for the benefit of France. He also wished to be seen as a paternal figure to the community, supporting it in times of need, helping to resolve disputes and tending to the sick. The book does not present a glorious revolution whereby women came fully into the scientific community, frankly this hasn’t really happened yet – certainly in some fields – but it does show how the role of savant / academic / scientist started to move away from the lonely genius to a man embedded in family life. From the point of view of women, it represented a time where women started to become, explicitly, part of the scientific enterprise. I notice that Roberts cites Ken Alder in her acknowledgements, his book (The Measure of All Things) on measuring the size of the Earth by triangulating a meridian through revolutionary France is well worth reading – as is Poirier’s book Lavoisier: Chemist, Biologist, Economist. As a testament to the power of blogging I see that Poirier also wrote a biography of Marie-Anne Lavoisier (La science et L’amour: Mme Lavoisier), mentioned in the comments to my post of his book on Antoine. I found this an enjoyable read, introducing a facet to the history of science that is relatively little covered.